There will be no downtown Houston station, that much is for sure. The area around U.S. 290 and Loop 610, anchored by Northwest Mall, is likely to be the end of the line for a proposed Houston-to-Dallas high speed passenger train. 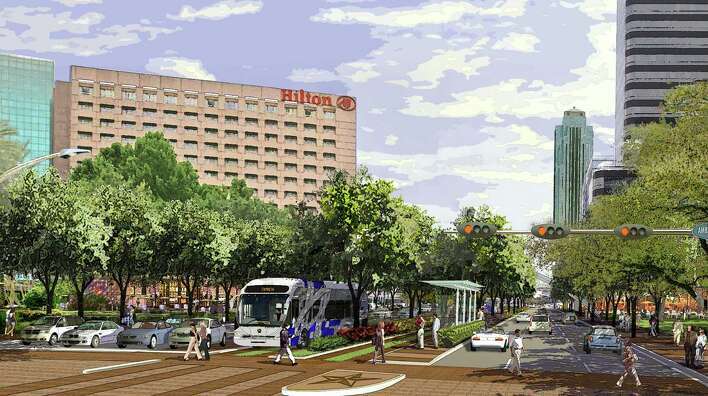 The Federal Railroad Administration has eliminated from consideration both of the paths that would have carried the trains to Houston’s central business district. The agency is overseeing environmental approvals for the multi-billion-dollar line proposed by Texas Central Partners. The decision essentially gives Texas Central “our target landing zone,” CEO Tim Keith said, although the company still must procure numerous federal approvals, hold public meetings, raise money and acquire land before construction could begin. Keith said the decision not to bring the line downtown keeps the project within its $10 billion to $12 billion cost estimate. “Serving downtown Houston directly would require significant community impact and significant cost,” Keith said. Federal officials eliminated options for a downtown connection because the each of the two proposed paths had numerous areas of concern. Both would have resulted in environmentally-significant damage to the Heights Boulevard Esplanade – part of a national historic district – and Cottage Grove Park west of T.C. Jester. A decision about where the line would end changes many of the conversations with local officials, Keith said. “We’re focusing on getting passengers into the (central business district) and allowing us to engage in those discussions with the various entities we can partner with,” Keith said. The discussions will likely include the Metropolitan Transit Authority, which is planning some projects around Loop 610 and U.S. 290. Metro board member Jim Robinson said Metro officials have suggested the private high-speed rail firm help to pay for a Metro light rail extension to the area. Keith said no conversations about Texas Central funding other improvements have taken place. “We are going to work hard to get something to maximize connectivity,” he said. You can see a copy of the FRA report here; it’s not exactly light reading, but go for it. The Dallas end of the line is still a work in progress, but the list is short. The idea of HSR-to-light-rail has come up before, though apparently not in a way that Texas Central will officially comment on just yet. I think that would be a win all around, and would add connectivity to the Uptown BRT line, assuming it doesn’t get derailed. It’s mostly a question of how to make the finances work. I do hope Metro pursues this; since everything comes down to the Mayoral runoff these days, I’d be more confident about a Metro board appointed by Sylvester Turner taking that on than I would with a Bill King board. Be that as it may, this doesn’t get real till construction starts, in 2017 if all goes as planned. There’s still time for the Lege to interfere as well, so while this is another step down the path, the finish line is still a long way away. The Press has more. I suppose I need to say something about this. Two members of an economic development board pushing a plan to run a center bus lane along Uptown’s Post Oak Boulevard have financial ties to companies that will be paid for land in the project’s right of way. Earlier this year, Uptown Chairman Martin Debrovner and secretary and treasurer Kendall Miller disclosed financial interests in two of the more than 30 parcels the board will purchase with public funds to expand Post Oak. Collectively, three companies that own property along Post Oak – Weingarten Realty Investors, WMJK and Hines Interests – stand to receive about $6 million of the roughly $47 million budgeted for right-of-way acquisitions if average appraisals done by an outside company last year hold. A third member of the Uptown development board, Louis Sklar, filed a similar affidavit earlier this year because he is a former senior executive at Hines Interests. But according to his affidavit, he does not make enough of his current income from the company or own enough stock, for instance, to have a “substantial interest” in the company as defined by state law. The board members appear to have followed state law; they have not voted on items with specific or special financial benefit to them, instead voting more broadly to support the bus plan. Critics contend that the financial disclosures should have been filed in early 2014, when a consultant’s report was issued listing the properties to be purchased along retail-laden Post Oak Boulevard. Any appraisal above $500,000 and any offer that exceeds fair market value by more than $50,000 requires Federal Transit Administration approval. As for why the affidavits weren’t filed sooner, Breeding said they waited until right-of-way offers were imminent. Not really clear to me what the scandal is supposed to be. One would expect that members of the Uptown Management District would own property in Uptown, and some of that property will be bought for right of way purposes. Yeah, TIRZes are often more opaque than they should be, but that’s not what is being argued about here. If this is the worst thing that the Uptown opponents have to say about the project, it ought to be very smooth sailing from here. One staggering step at a time. 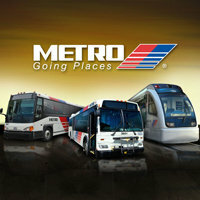 Metropolitan Transit Authority’s board meets Thursday morning, and is scheduled to discuss progress on the Uptown plan. The addition to their regularly scheduled meeting comes after a letter last week from Texas Transportation Commissioner Jeff Moseley. The letter lays out a path for officials to settle their differences and keep the $192.5 million project on track. “I am keeping my word to my constituents on these two streets who overwhelmingly oppose light rail on Richmond and Post Oak,” Culberson said. In a Jan. 22 letter, Moseley told Garcia that the federal prohibition satisfies TxDOT’s concerns. See here, here, and here for the background. Culberson has been lying about the level of support for rail on Richmond, but at least in this case it had a somewhat positive effect. I know, my head is spinning, too. Anyway, Council has also approved its piece of this, so we should be on our way. Some fascinating ideas for ensuring the long-term health of Memorial Park. Today Memorial Park is a land divided. The city’s premiere park stretches across 1,500 acres, almost twice as large as New York’s Central Park. But to Thomas Woltz of the internationally renowned landscape architecture firm Nelson Byrd Woltz, it feels much smaller. Over time the land has been divided into 24 tracts by roads, an elevated railroad, a power easement and recreational amenities. That could change during the next 20 years if a long-range master plan being proposed by Woltz’s firm is adopted next spring by the Houston City Council. Hired in 2013 by the Houston Parks and Recreation Department, the Uptown Houston tax increment reinvestment zone and the privately funded Memorial Park Conservancy, the firm is nearly three months into a 10-month design process. At a public meeting Wednesday, Woltz presented his firm’s initial design strategies and the reasoning behind them – ideas driven by previous public input and a year’s research by a team of about 70 local experts in fields like soil science, ecology, history and archaeology. He shared maps, drawings and aerial views to explain the park’s ecological and cultural histories, also unveiling a dramatic solution to one of the landscape’s biggest problems. 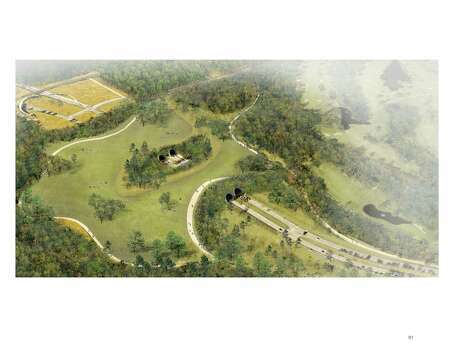 He’s proposing a grass- and tree-covered land bridge, 800 feet long, that would rise gently across Memorial Drive, over a tunnel, to reconnect the park’s north and south sides. While it’s not realistic to remove the street, which is crucial to Houston’s traffic circulation, the land bridge is “a kind of triumph … the park wins,” Woltz said. Project director Sarah Newbery of Uptown Houston said the Uptown Houston TIRZ is committed to spending $100 million to $150 million on the restoration projects and infrastructure; a figure that could change with property values. Memorial Park Conservancy executive director Shellye Arnold said her group is studying how much it can raise in the next 10 or 20 years toward the effort. Woltz expects to reveal designs that incorporate Camp Logan remnants at the next public meeting on Nov. 10. “We’re looking for ways the landscape could function as a memorial to the soldiers and maybe even reveal some of the grid,” he said. A Jan. 12 meeting is titled “Spaces and Places: How Will It Look?” The final March 9 meeting promises a more comprehensive revealing of the plan. See here, here, and here for some background. The TIRZ in question is also the one helping to fund the Uptown BRT line. Some more material from the architect is here. What do you think about this? Link via Swamplot.